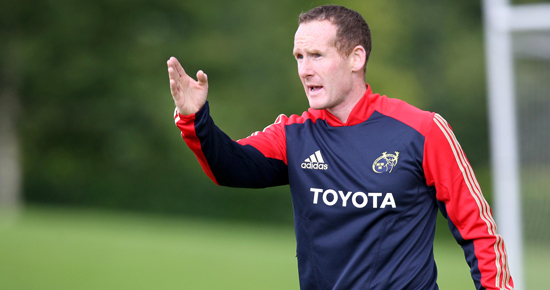 The latest advancement in Munster’s rejuvenation has seen skills, defence and kicking trainer Ian Costello accept an offer as Nottingham Rugby’s head coach. South African Jacques Nienaber is expected to fill the defensive role but Munster face potentially three more departures in the coaching department as Brian Walsh (backs) and Jerry Flannery (scrum) are to advance in talks regarding their positions this Summer and could potentially follow Costello and O’Driscoll out of Munster. It has meanwhile been reported that Anthony Foley will remain as ‘head coach’ but CEO Garrett Fitzgerald’s words would suggest otherwise, stating that Erasmus will have ‘ultimate responsibility for team performance and results’. Whether stepping down into second of command would be in his interests is also raising questions.